Packing is arguably the most important, exhausting and time consuming stage of any property removal. So, why don’t you take a knee and have us handle it for you. We are professional moving contractors and we are known to provide high quality packing options at fair and reasonable prices. With many years of experience behind our back, we can quickly, smoothly and efficiently pack anything from small and delicate objects to large and rigid items. We understand in full that watching complete strangers handling your belongings isn’t the most comfortable feeling in the world and this is why we work in full transparency. Even more, we will treat your possessions as our own and handle them with utter diligence and respect because we value the trust that you have in our company and abilities. 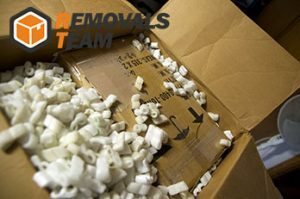 To us it doesn’t matter whether we have to prepare the content of your household or place of work because we mastered several packaging techniques which will ensure the safe loading, unloading and transportation of your belongings to any point in London. Know that you can either use our packaging services as a standalone option or combine them into a personalised bundle which will best cover your needs. You should note that if you opt for the latter option, you will be able to take advantage of our special discounts as you will be using several of our moving services simultaneously. We welcome you to explore our company website, so that you can acquire additional information about our methods of work and other services such as selling and delivering of packing supplies to customers in London. Once you get in touch with us, don’t be timid and ask for your personalised free quote. Keep in mind that our quotes are final, which means that there won’t be any hidden fees and taxes once we have complete the job for which you have hired us. We are seated in London, one of Europe’s largest capitals. The city is recognised as a global financial, cultural and tourist hub. It is home to the headquarters of some of the largest international corporations and welcomes millions of travelers on a yearly basis. The English capital is home to some of the finest museums in the world. The British Museum, Tate Modern, the Natural History Museum, National Gallery, Victoria and Albert Museum are only a few venues which attract both local and foreign tourists. The city is also the location of several large open spaces such as Hyde Park, Kensington Gardens, Regent’s Park and more.